How To Configure Legacy Devices In Windows 7? 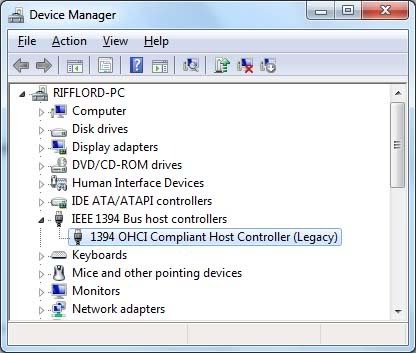 There is a collection of drivers available in Windows 7 driver store for legacy devices like old printer, modems, scanners, infrared ports, PCMCIA Controller and other oddball devices that are not compatible with Plug and Play connections. At the same time, Windows never automatically set up such devices. Therefore, you can’t replace any driver with a newer, you have to search and download the most recent hardware drivers. Then use Add Hardware wizard to complete the hardware setup process. We have given the steps in detail. • If you get any downloadable driver package or a CD that is available with the device, you have to use the Setup program and run it. Running this option will place the driver in your Hard Drive and simplify installation steps ahead. • You have to connect the new hardware to your PC, but if it is any internal devices like add-in-card, turn off the computer, connect the device to your computer and restart the PC. • Now, you have to open Device Manager and select any item in the list of installed devices. After that, add Legacy Hardware on the Action menu. • Here you can click Next to skip past the Welcome screen. • From the next wizard, you can choose the way to install the selected device. 1. If you use printers, network cards, modem and other devices, they will be detected automatically. At the same time, you can choose Search for And Install the Hardware Automatically. It is recommended by default. 2. After you click Next, the wizard will quickly run a detection module that searches for anything on its list of non-plug and play devices. If it will find the new device, the drivers will be installed automatically. 3. If the wizard is not able to find the new hardware, you will have to click Next in order to check for the Hardware manually. 4. Moreover, if you have any driver on the disc, skip the detection process and choose Install The Hardware That I Manually Select From A List (Advanced) and then click Next. • Now you can select a hardware category, from the common hardware types list and click Next. • Select the device manufacturer and select the correct model, from the master list of available drivers. And click Next to continue and follow the steps in order to complete the installation wizard.